You probably thought there were only twelve zodiac signs, right? Wrong. There are actually thirteen, and the forgotten constellation is named Ophiuchus, which means serpent-bearer. 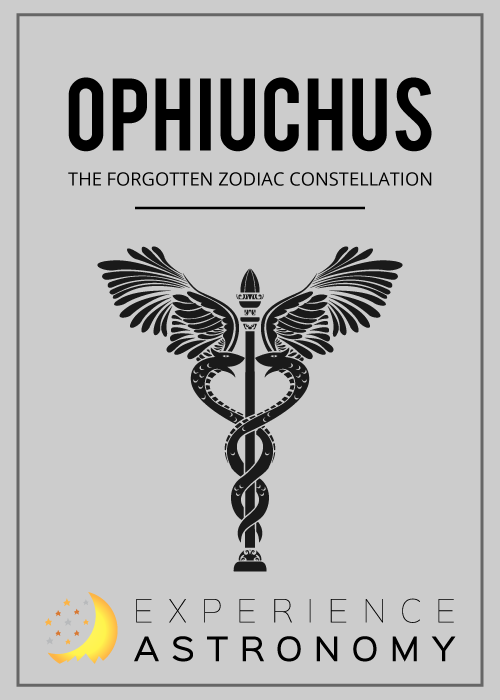 Ophiuchus, also known as Imhotep in Ancient Egypt and Asclepius in Greece, was made to honor doctors. He was the son of the god Apollo and Coronis, a mortal princess. Ophiuchus was raised and mentored by the centaur Chiron and was taught the ways of medicine. He grew up to be a famous miracle-medicine worker, and healed all he could. Ophiuchus was then given a magical healing potion from the goddess Athena, made from gorgon blood. With this potion, he could heal anything. He could even bring the dead back to life. But when Zeus discovered that Ophiuchus was disrupting the natural order of things by raising dead men for money, Zeus killed him with a thunderbolt from the sky. However, Zeus later acknowledged all Ophiuchus had done, and placed him in the heavens. Now, you may be wondering why Ophiuchus was omitted from the Zodiac. The answer is quite simple: in Mesopotamia, when the Zodiac constellations were first introduced, the sky was split neatly into twelve parts, for twelve months. Since the sun spends the shortest time inside Ophiuchus (from November 30 to December 17), the Mesopotamians decided to omit it. Ophiuchus also only takes up nineteen degrees of the ecliptic, while the more commonly known constellations take up thirty degrees or more. 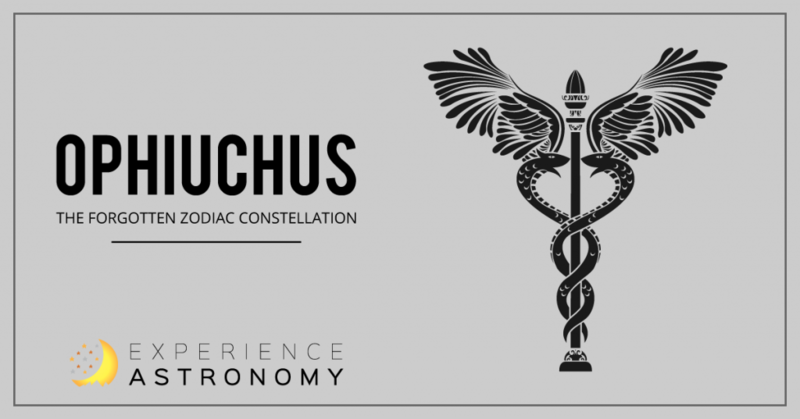 In modern times, though most people don’t know, the symbol for medicine comes from Ophiuchus’s staff, with the snake twined around it, though the two-snaked caduceus is sometimes mistakenly used. In fact, the term for a fear of snakes is known as Ophiophobia, after Ophiuchus. While forgotten by most, on a clear night, you can still view Ophiuchus in the night sky, right between Scorpius and Sagittarius. This article was written by Virginia, age 16, an Experience Astronomy student from Hurricane, West Virginia.